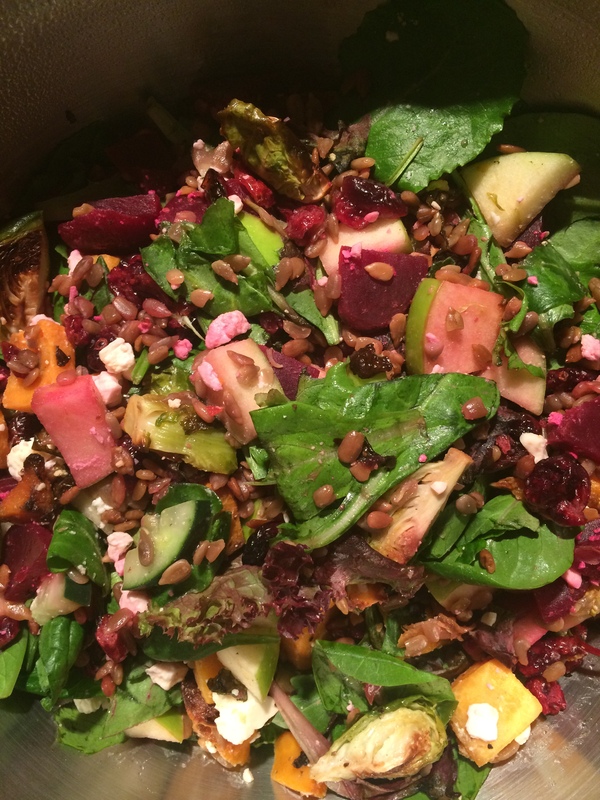 I was inspired by a great salad place, Blue Barn, who has a special Winter Salad. So I chopped up my own slightly addicting and satiating version. For the friends I’ve made this for lately, here is the recipe you requested! Toss all together. For the dressing, use beet juice or balsamic vinegar.